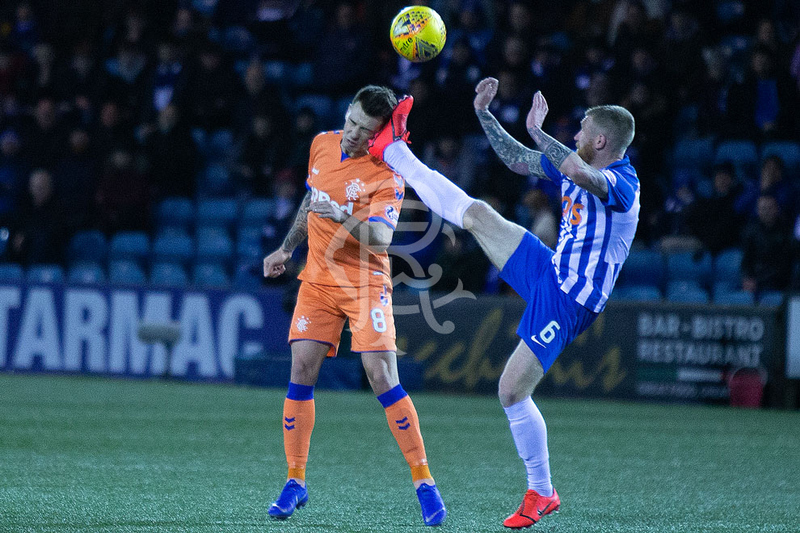 As Rangers fans know, Alfredo Morelos has a three-match ban for violent conduct, but we’ve not yet discussed McGregor’s citation for a similar offence. Quite frankly while we admit Morelos’ red card wasn’t the most harsh of assaults, it was a red, and we similarly have no complaints about McGregor being cited either. However, we do firmly expect Alan Power of Killie to also be hauled up based on this logic too. Some commenters claim McGregor always had this needle to his game – and we respect those assertions but we have to say we don’t ever recall him smashing strikers or putting his studs into folks’ shins – if replies can possibly refresh our memories on that we’d appreciate it. But the fact is, even if he did – the rules aren’t even the same now compared with 7+ years ago, and he can’t get away with what he used to. And neither should Power. McGregor's disciplinary record makes for interesting reading – picked up a modest number of bookings, but last season was the worst, with 5 for Hull – whether that was for violent conduct or classic keeper timewasting we can’t say. But either way, McGregor needs to be more savvy moving forward – he can’t leave his studs in, he can’t hit strikers with his elbows – not any more. There’s no point in arguing no one likes us we don’t care and being paranoid about our players being unfairly treated when they evidently aren’t helping themselves - but we equally deserve consistency ourselves in how we're dealt with compared to the rest. McGregor is smarter than this. More experienced than this. And hopefully, ban or not, he will learn a little about what you can and can’t do in the SPL these days. Why do we think Power will get away scot-free though? The McGregor case should be relatively straightforward for Rangers and I'd be amazed if they lost it. Firstly I understand that if the referee saw the incident then retrospective action cannot be taken. It would be ridiculous, as some are desperately now doing, to claim the referee never saw it as TV pictures clearly showed he was 10 yards away firmly watching. 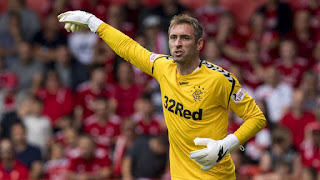 Secondly it should be fairly easy for Rangers to gather pictures of goalkeepers coming out with knees and studs raised. It happens in every game all over the country and has been accepted for years. As for other clubs there were a few incidents this week that require further scrutiny. There was Brown and Somonovic(?) from Wednesday night, Power and Broadfoot from yesterday, and there was an elbow in the St Mirren v Dundee Utd game that resulted in a yellow but was a clear red card. If those incidents aren't reviewed the Rangers would be entitled to ask why while defending McGregor. The Brown and Simunovic cases were looked at at the same time as McGregor and Morelos and both were found to have no case to answer. F***ing joke! Power will get away with it because he was yellow carded, the ref saw it and acted. The hypocrisy of the compliance system is they can't re-referee the game if the ref says he saw it, think Morelos v Celtic. So you can endanger a player by kicking him in the head, smashing him in the face with an elbow, Kung Fu kick him in the stomach and a straight leg tackle. If the ref books the player that's it over with they can't be sighted. The problem is clear, the refs are poor and there is no consistency on the field. There is no consistency by the compliance officer. We now have a in Scotland that's turning into trial by TV. MacGregor should know better. Morelos needs to grow up he's going to cost us any title challenge. Agree 100%. What really puzzles me is how the Burke incident in the Septic v Hibs game when Burke attempted to be the first man to fly, not dive, in the penalty box hasn't even rated a mention for a review. Our refs are poor story ended. Just get on with it and don’t give them decisions to make ie Morelos! Easily said Bear but I am heartily sick of the hypocrisy and unfairness of it all. I'm only being consistent in asking for consistency. Interestingly I was reading some stuff around the appointment of Compliance Officer Clare Whyte back in August. Many pointed out the lack of clarity and public scrutiny around her appointment and questioned her background while others, probably fairly, said give her a chance and see what she brings to the table. Well here we are 6 months later and we are now seeing what she is bringing and it doesn't look very good to me. Seems to me she watches Sportscene then acts on whatever the BBC editors decide to show and whatever Michael Stewart and Steven Thomson say. https://youtu.be/d-fH2-ABHX0 puts refs in this country in the spot light. Good watch.